On Monday, December 19, 2016, at 6:05 a.m., M-LFD Companies 1, 2, 3 and the Ambulance Unit were dispatched to a reported structure fire at 43 Hanover Court in North Hills. Chief of Department Kiess (8701) was the first to respond, and upon his arrival on the scene transmitted a Signal 10. E8725 was the first fire apparatus to respond and quickly stretched a line into the home to begin knocking down the fire. The crews of E8712 and 8735 stretched an additional line while the crew of TL8720 vented the structure and checked the adjoined residence for extension. 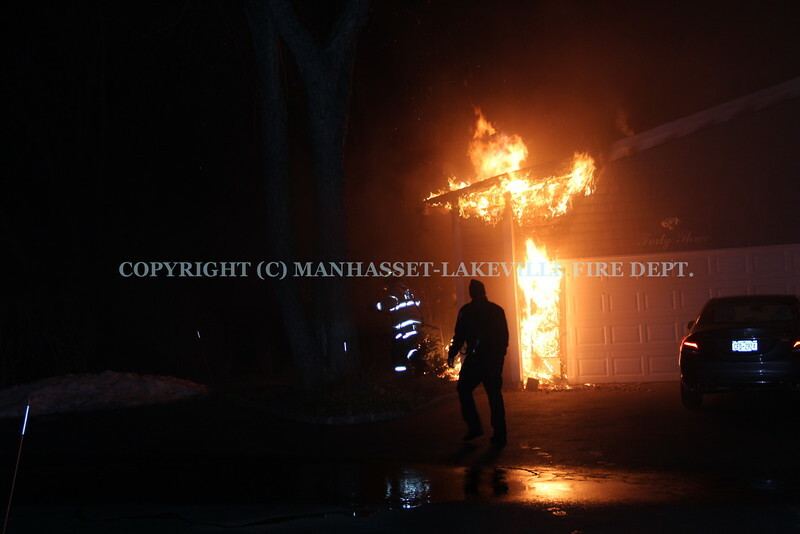 The Port Washington Fire Department responded to the scene as the FAST, and the fire was placed under control after around an hour of operating.